Samsung insists it will continue to sell plasma TVs for as long as anyone wants to buy them, but the brand's heart seems to lie elsewhere. The South Korean firm has been busy trumpeting and showing off its undeniably impressive edge LED TVs whenever and wherever it gets the chance, but has had precious little to say about its plasmas, even those equipped with 3D playback. So it is that Samsung's new 50in, 3D capable PS50C6900 plasma TV has arrived almost unnoticed. In fact, it even seems to have crept up on its manufacturer; it couldn't even be found on its UK website at time of writing. With its £1,300 price tag and an extensive secondary feature count that includes access to Samsung's impressive Internet@TV platform, it has the potential to become the first bona fide 3D bargain. Samsung does have a more highly specified 3D plasma range: the C7000 series. Available in 63in and 50in sizes, the C7000 models add to the C6900's spec a Real Black Filter, designed to improve contrast and reduce reflectivity from your room. There is also an expansive range of LCD 3D TVs, headed up by the extraordinarily thin, metallic-finished and edge-lit C9000 series. Down from those are the slightly chunkier C8000 models and beneath these you'll find the C7000 sets, which ditch the fancy design and use a less sophisticated picture processing engine. 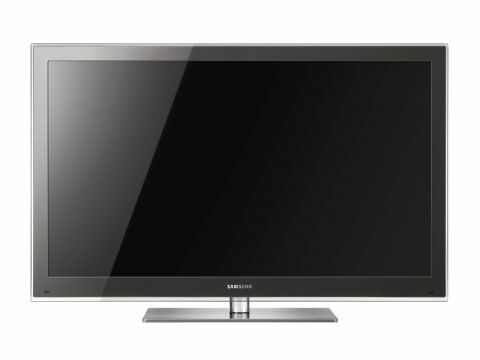 Samsung's cheapest 3D option prior to today was its only CCFL LCD model, the 46in LE46C750. There's a problem with all Samsung's LCD 3D options though: crosstalk noise, where you see double ghosting around some objects in a 3D picture. Hopefully, this is an issue the PS50C6900 will avoid.